Ortofon's line of headshells provides an elegant and high quality solution for a wide array of cartridges. 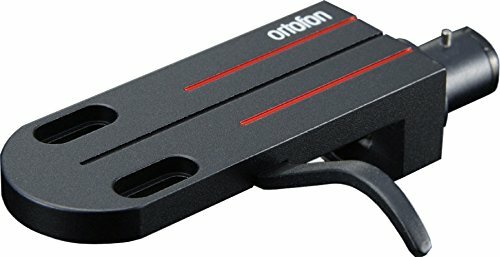 Regardless of your preference in cartridges, Ortofon's headshells are comprised of the highest quality materials and add unique distinction to your turntable. The LH-6000 is a high quality headshell designed specifically for the Kontrapunkt, Jubilee, and Windfeld cartridges. Its rounded front portion facilitates proper mounting and compliments each of these cartridges. View More In Turntable Cartridges & Needles. If you have any questions about this product by Ortofon, contact us by completing and submitting the form below. If you are looking for a specif part number, please include it with your message.